A soft housing market is usually referred to as a buyer’s market, and there’s a reason for this. In a softer market, buyers are in the driving seat, not the sellers. You cannot afford to play hardball with prospective buyers. You must be willing to adopt Bear Grylls’ motto – improvise, adapt and overcome. And we don’t mean start living in a tent. However, that’s not to say a seller can’t get a good deal for their home. They just need a plan of attack, a strategy to squeeze every dollar out of a buyer without them knowing that you’re doing so. So if you find yourself selling in a soft market, here’s the Vaultster’s list on how to come away with a successful result. Believe it or not, it’s impossible to be objective when it comes to evaluating your home so leave it to the pros. A professional, unlike yourself, hasn’t formed a love affair with the (sometimes) mess you call home, therefore they are able to be realistic when it comes to putting a price tag on it. If you do take matters into your own hands, try to be as realistic as possible with the price. To do this, consult how the market in your local area is doing – use recently sold properties in your area to get a good indication of what your home is truly worth. Don’t forget, if you sell a little lower than you originally expected, it just means that you can nab an upgraded property for a little less also, so it’s all even-Stephen. Pro tip: listen to buyer feedback. With banks making it harder and harder to secure a loan, buyers can only borrow so much which has inversely impacted the market as a whole. So, consider ALL offers before saying no. If you are serious about selling, you can’t afford to highball it. In a softer housing market, there’s no denying that competition for eyes can be the difference between selling under, over or equal to your reserve price. With this in mind, don’t be afraid to spend a little on your marketing strategy. Start with a good agent that understands how to harness social media, who uses as many portals to advertise your home as possible. 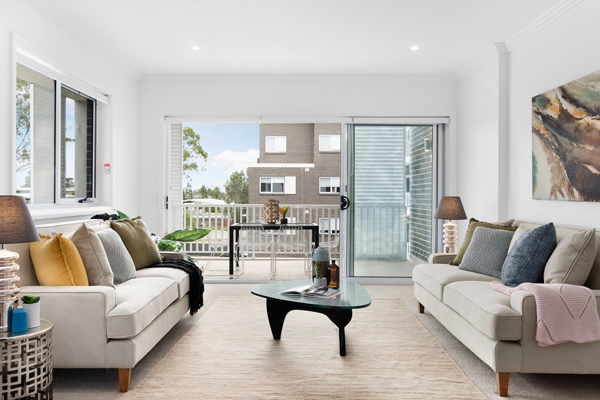 Get high-resolution photos and videos to widen your chance of getting potential buyers to the opens – you’d be amazed what a good hero shot can do for a property. It’s more important than ever to style in a softer market, to make your property stand out and entice buyers. 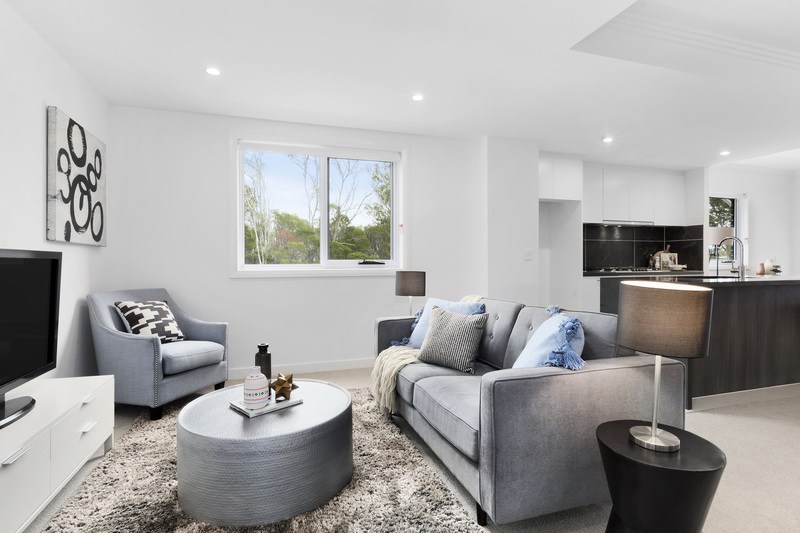 Styling will best showcase functionality, flow, layout, liveability and help buyers emotionally connect to a home and create an aspirational living scenario. Put extra time into making not only the interiors but the exteriors attractive. Start with freshly cut lawns, then plant flowers or hedges, de-weed your driveway and footpath, give the front door a fresh coat of paint, remove any rusty gutters or fencing. A well-groomed exterior reflects a home that has been taken care of. If you’re at a loss and styling isn’t your forte, employ professional property stylists to style and stage your home for sale. Pro tip: hose down your lawns before opens, this gives your exterior that little extra polish that might push a buyer into committing to what you have to offer. In a soft market, it is important to many buyers to have a move-in ready home. For sellers, this will mean doing the dirty work. Start by refreshing the painting. To do this, use a neutral colour palette to create the illusion of space – eggshell white is our go-to. Any touch ups to the property to get it spick and span will help time-poor buyers feel assured the property is ready to go for them and has been well maintained. Try to add value to your property, whether it’s creating an alfresco area, a study nook or turning that junk room into a 4th bedroom. Added areas will add to your property’s price tag overall. It’s also important to be generous. Be concerned or at least appear to be concerned about your buyers. Help make them feel as at home as possible (pardon the pun). A way you, as a seller, can do this is by giving them cash incentives for minor upgrades like a paint job. Overall, it’s imperative to remember to be flexible. To be able to improvise, adapt and overcome in order to sell your property. A property that lingers on the market for too long risks becoming dead weight and a massive headache for its sellers. Need help with your home interiors? Get in touch with Vault Interiors and see what the property stylist experts can deliver for your property’s styling needs.